Set This Circus Down: that's a wrap! Anyone curious to who Bryan and I have been working for? Coca Cola... specifically Coke Zero! 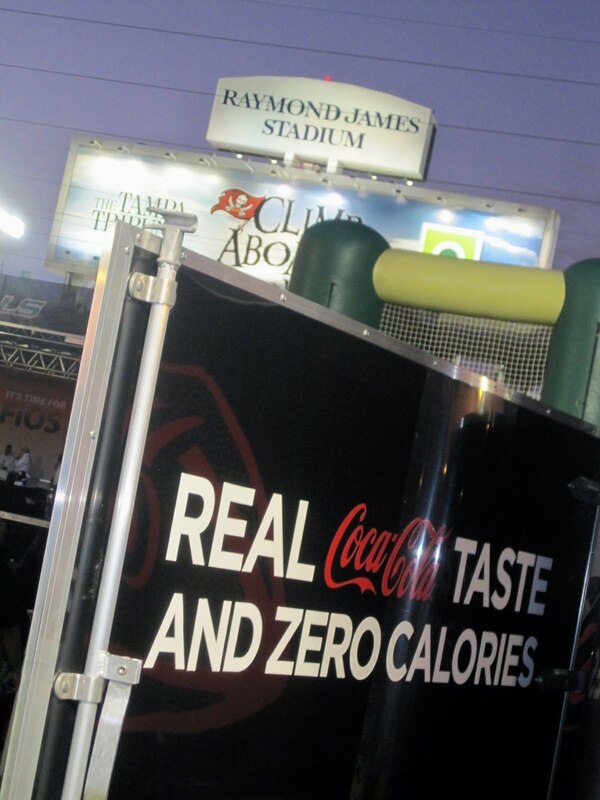 We have been representing Coke Zero at NCAA games, NFL games and on college campus' throughout the south this past fall. Oh looky, our truck and trailer are at our house! I just want to reiterate that we don't just work these events, we meet with event contacts, do site visits, set up every aspect of the event, manage all of our staff, run around like crazy people to ensure success and then tear down the event... just to drive to our next city/state to do it all over again! Here's a little background on Event Marketing. Very cool- I always wondered what you were promoting. Your job sounds like so much fun! 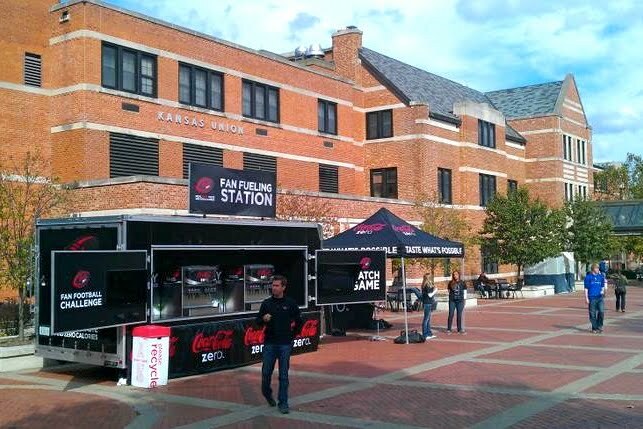 um I love Coke Zero but I love even more that TEXAS TECH was the first picture!! what, what! Even though you didn't like lubbock ... I promise if you went to school there that you would have loved it. I hated LBK the first time I went there. ANYWHOOOOOOOOOOO .... how fun and I'm going to need you to ship me some cases of Coke Zero. My boss is also obsessed with it. I love all the pics. Too cool! Sounds like a great tour! I love me some Coke Zero. Your house is gorgeous! now that your tour is over you have more time to spend with me. :) j/k. and that picture of you and bryan with the truck and your house...was that a tripod sitch or did you get the realtor across the street to take your pic? That sounds amazing!! I'm a Marketing major at UGA about to graduate and have been looking at Marketing/Advertising agencies in the Atlanta area because that's where I'm from! So awesome that you get to travel around to sporting events, talk about dream job! 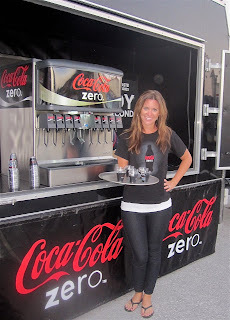 Ok, now do you like to drink Coke Zero? ;) Were you and Bryan the only two heading the event on this tour and just had volunteers at each city? What a blast! I'm sure it's exhausting but well worth it. What a great job especially since you get to travel to a lot of fun cities! Your job sounds amazing! When I graduated college I had something of that nature in mind, but ended up at an investment bank... and it BLOWS! But it pays the bills. Go glad I found you on Beth's blog. "TCBY is the only DIY I will partake in"! HAHAHA! I feel ya girl! I swear on my life I was drinking Coke Zero when I checked your blog. CRAZY!? i love how you caputure all the daily details. my kinda gal fo'sho! Loving the trailer! It looks so awesome, and I love Coke zero. So tasty! Also, you have an amazing job. 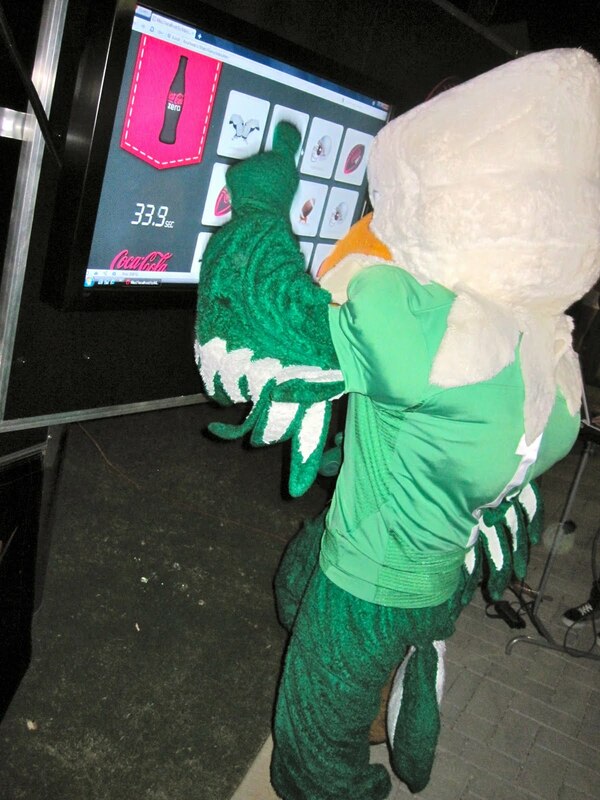 I also love event planning and love the industry, and I am looking to get into it in the future. It looks like y'all have been super busy but it looks like y'all have been having a blast. You have been all over the place girl! Glad you get to kick back and relax until your next adventure. Your house is so cute!!! Again, you are wonder/super woman, so obvs your hubs is superman. Still impresses me so much that this is what you do for work because, as you know, it's totally not something I could handle. They came to my campus and I worked for them for 2 days! It was so much fun handing out free samples and I made great money!